All it takes is a few steps to start a positive movement. 1) What is Walk with a Doc? 2) What is the relationship between NOSORH, National Rural Health Day and Walk with a Doc? A: In 2017, The National Organization of State Offices of Rural Health expanded its National Rural Health Day reach by launching a new aspect to its partner outreach which included the development of a concept called, “Organic Partners.” Organic Partners are relationships with organizations that share the mission to improve and positively impact rural health. Walk with a Doc was discovered by one of our NRHD development experts who believed both organizations would benefit from allying. Neither party has a contractual agreement; instead, it is a partnership designed to support and promote the transformation of a single day into year-long movement and helping rural doctors, hospitals, and health care resources lead their communities to better health through walking. 3) What type of organization is eligible to start an official Walk with a Doc and how does it work? A: Walk with a Doc invites hospitals and health clinics to explore membership options to become an official Walk with a Doc Chapter. 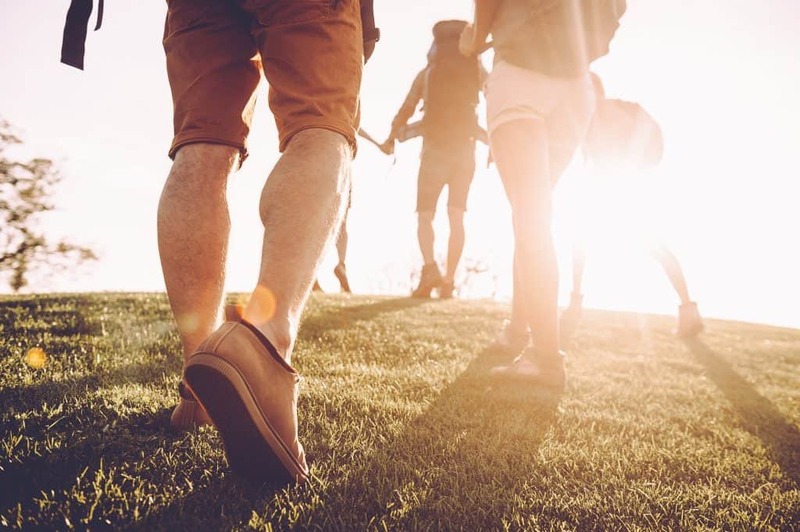 As a part of the NOSORH/NRHD Organic Partnership, rural hospitals and clinics that start walks will be identified as “Power of Rural” chapters. The requirement for starting a chapter include hosting, a minimum of 12 FREE physician / provider lead community walks per year, as well as agreeing to the terms provided in WWaD’s marketing and licensing agreement. Membership does require a financial investment which provides chapters with branding items, promotional tools, liability insurance, and other deliverables. To learn more, REQUEST A GUIDE TO GETTING STARTED. 4) What are the benefits to a hospital or health clinic in starting a walk? There are many benefits of starting a Walk with a Doc in your rural community. Click here to learn more. 5) If my organization does not become an official Walk with a Doc chapter, can we still host a National Rural Health Day Walk with a Doc, is there a cost, and how does it work? Rural hospitals, State Offices of Rural Health, EMS agencies, and rural health clinics are invited and encouraged to host a National Rural Health Day walk on 11.15.18 or to locate a NRHD walk chapter nearby and participate in a scheduled NRHD walk. There are no fees to register a National Rural Health Day Walk with a Doc event, and as with all Walk with a Doc events, they are FREE to walkers. All you need to do is register, promote, and participate! 6) If I host a National Rural Health Day Walk with a Doc event, are there free promotional tools for my organization to use to promote it? Yes! Visit the NRHD WWaD Tool Kit page, where you will find several items, including sample social media posts and display ad templates designed to help you make your NRHD WWaD event successful! To register a special 2018 National Rural Health Day, Walk with a Doc, please click here.